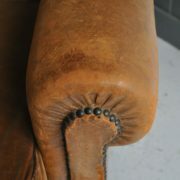 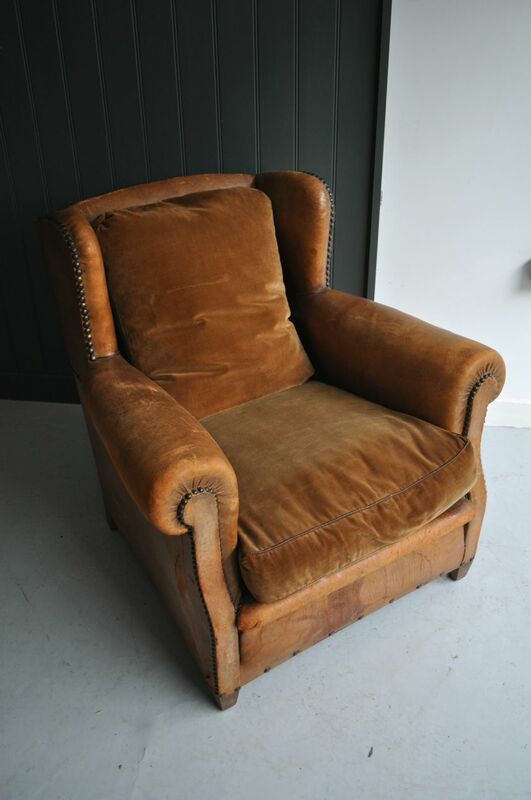 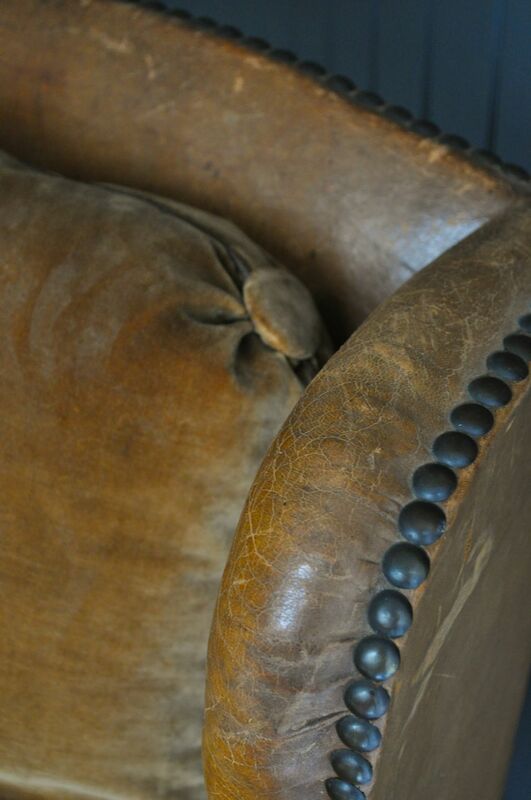 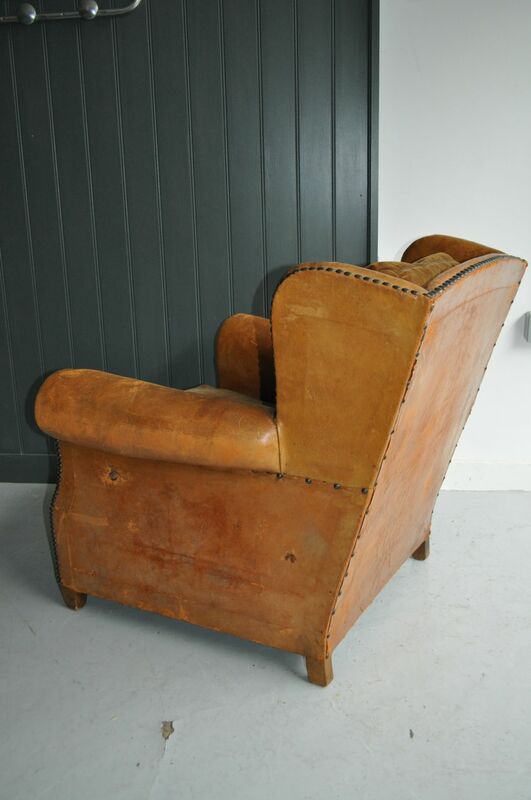 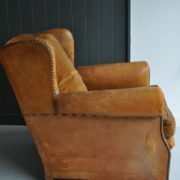 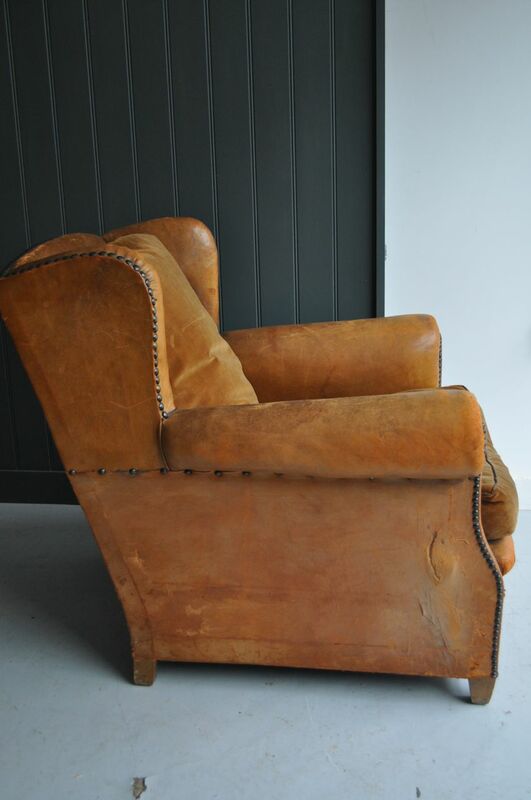 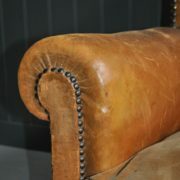 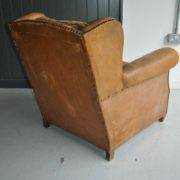 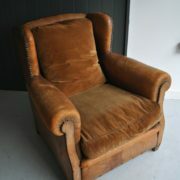 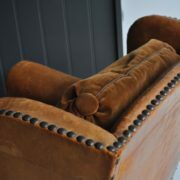 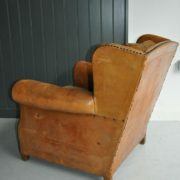 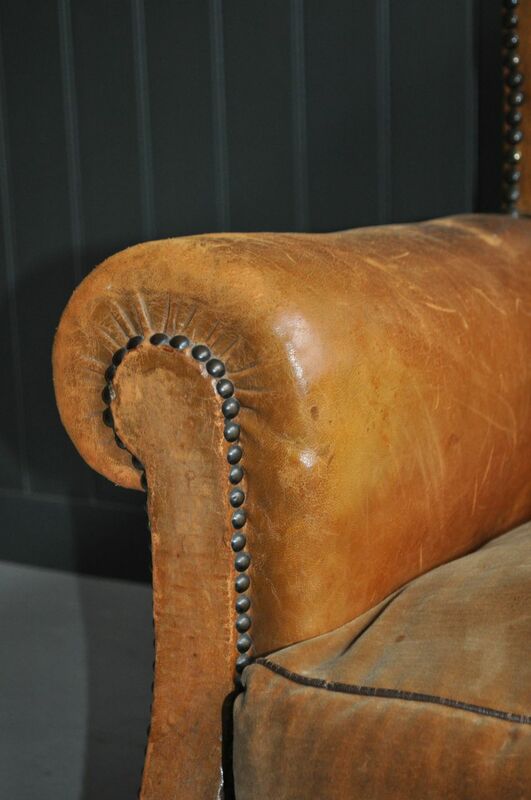 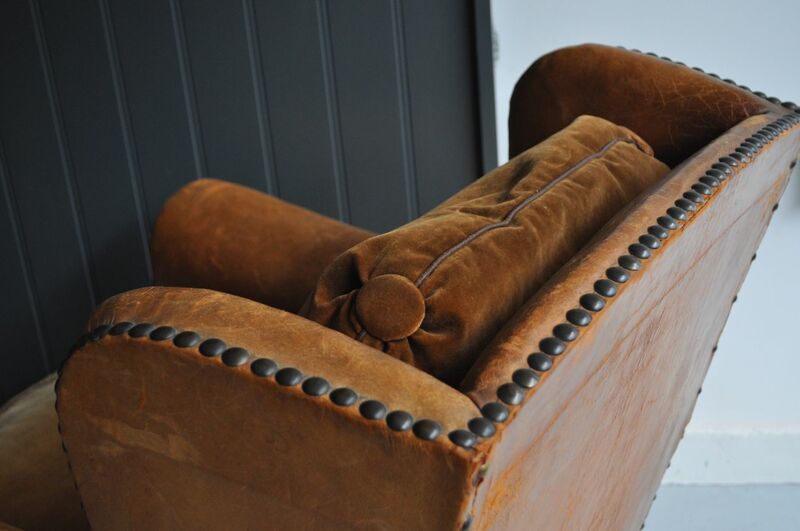 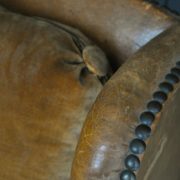 French wing-back leather armchair, with studding to perimeters, and original seat and back cushion in faded gold velvet. 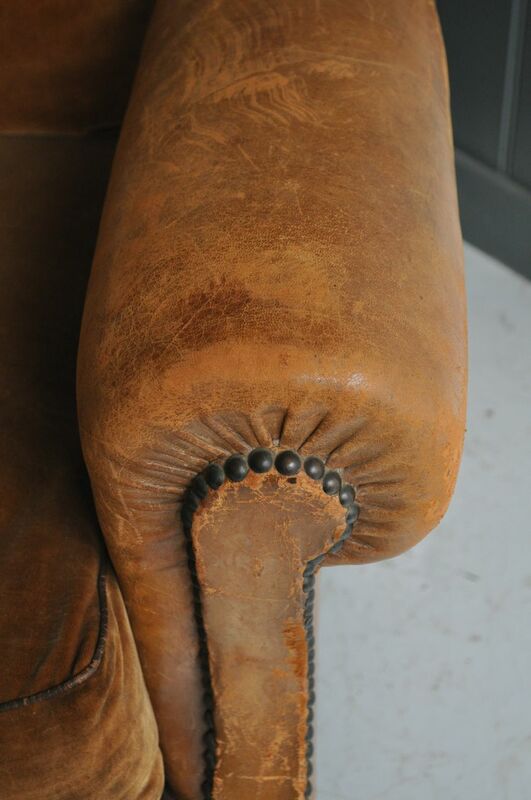 A few minor repairs to the outer leather panels, and wear in keeping with age. 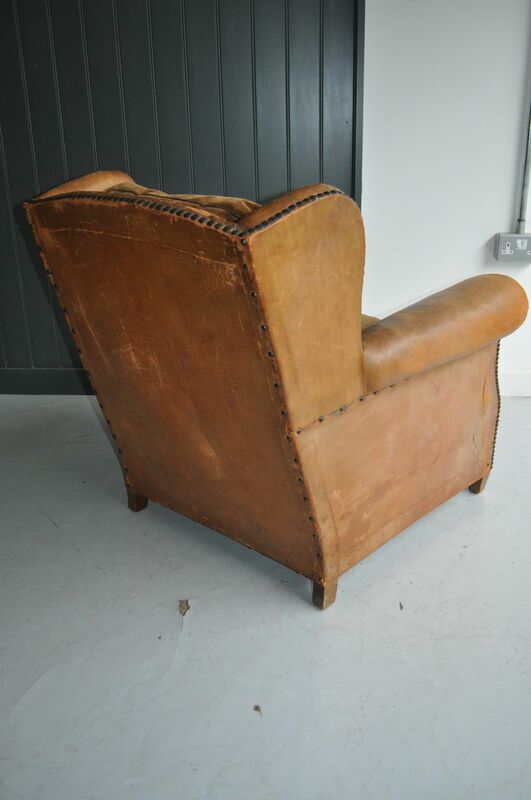 Handsome and comfortable, and rare to find a wing-back model.